If you require further assistance setting up your emails then why not consider our KickStart service. For more information please contact our Sales team on 01 5255768. Note: As new models and OS updates are released, the screen you see on your own device may differ from those displayed in this guide. Regardless of this, the steps detailed in this guide are always kept up to date. 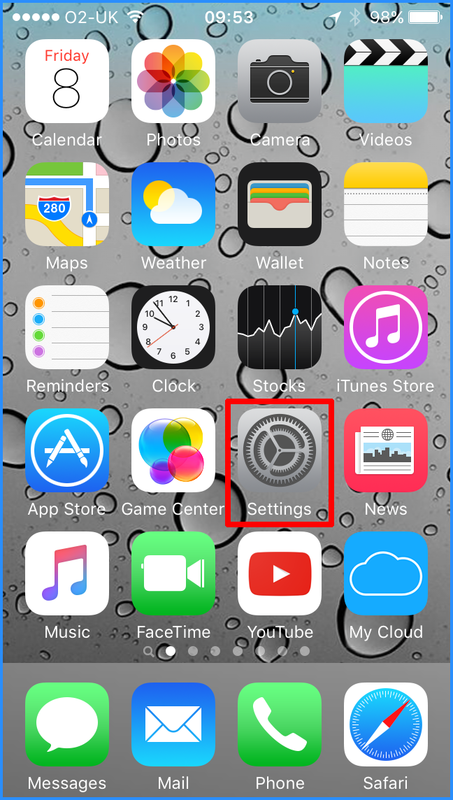 - To set up an POP account, first select the Settings icon from your home screen. 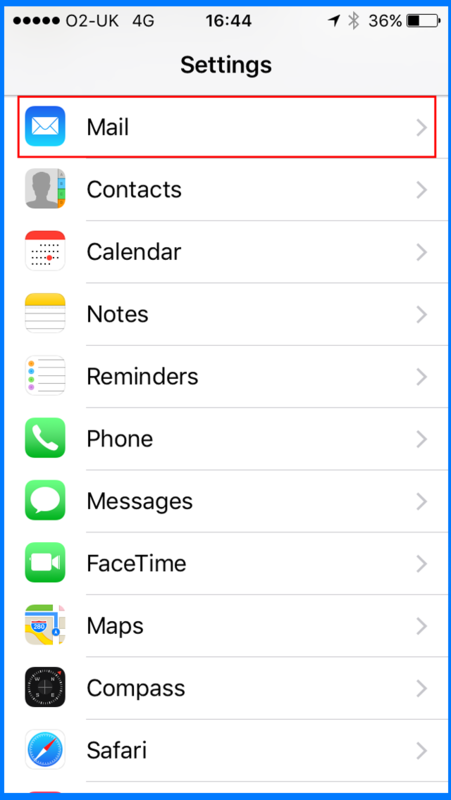 - Next, scroll down the screen until you find the Mail, Contacts, Calendars option, select this (Image 1). 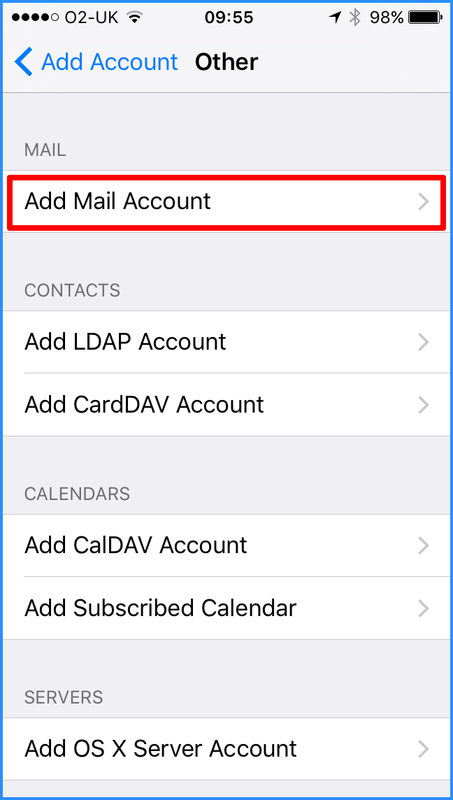 If you are on the latest operating system - iOS10 then this step has changed, as you'll see in image 2 the Mail, Contacts & Calendars section is now simply Mail. 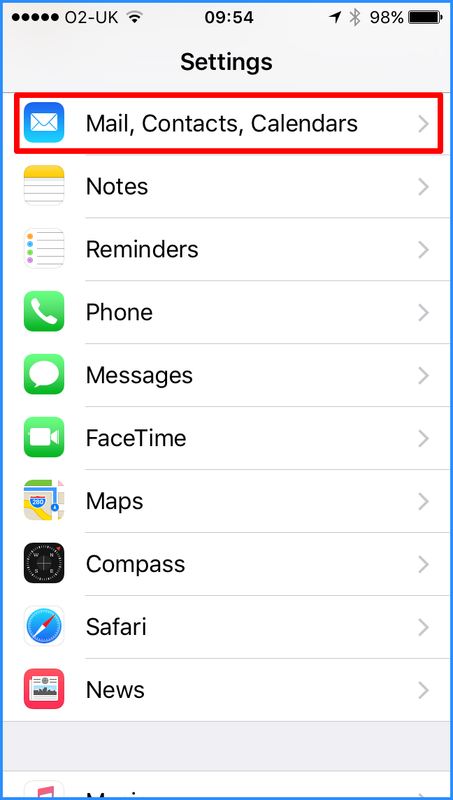 - (iOS 10 only)Select Accounts. - From the top of the next screen select Add Mail Account. - Enter your account details; Name, Email Address and Password. The Description field interprets a name for the account from the information you have entered. There is no right or wrong Name or Description; the Name should usually be your name, your department name or company name, basically whatever name you want to appear in the sender column of your recipients email inbox and the Description serves as a way for you to differentiate this email account from any others you may have. Once you have filled out this section press Next in the top right of the screen. 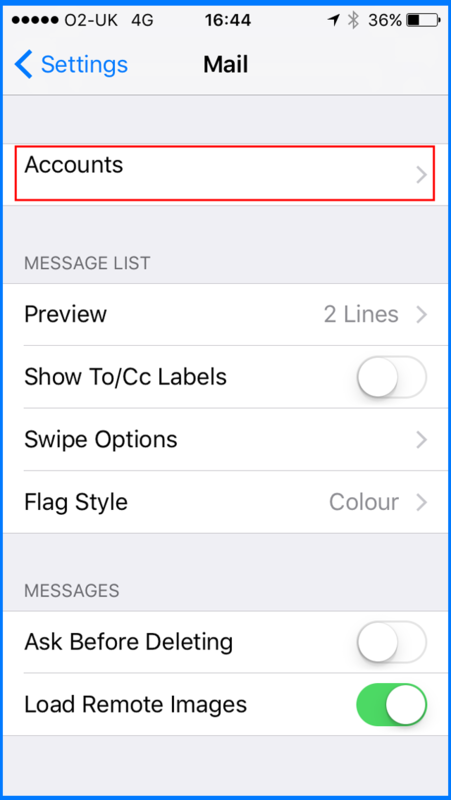 - At the top of the screen, make sure that POP is highlighted. - The Name, Email & Description are carried over from the previous screen but can still be edited here if you feel they need to be altered. - Enter the Incoming Mail server details. 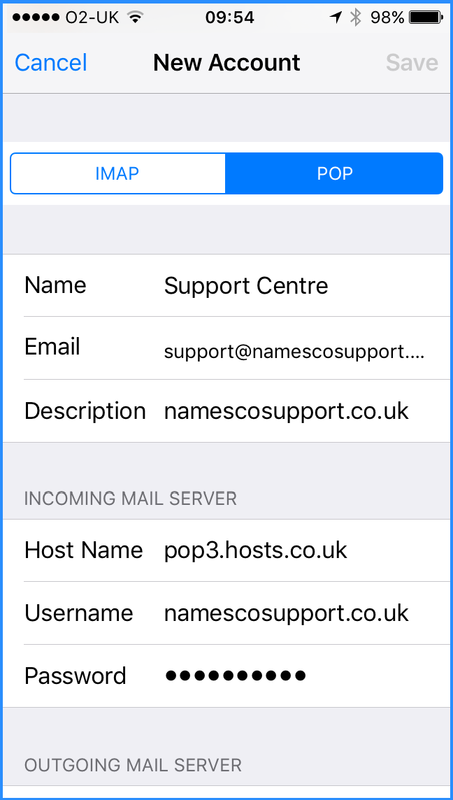 Host Name will be pop.hosts.co.uk, the User Name will be the mailbox name as set up in your Register365.com Control Panel. 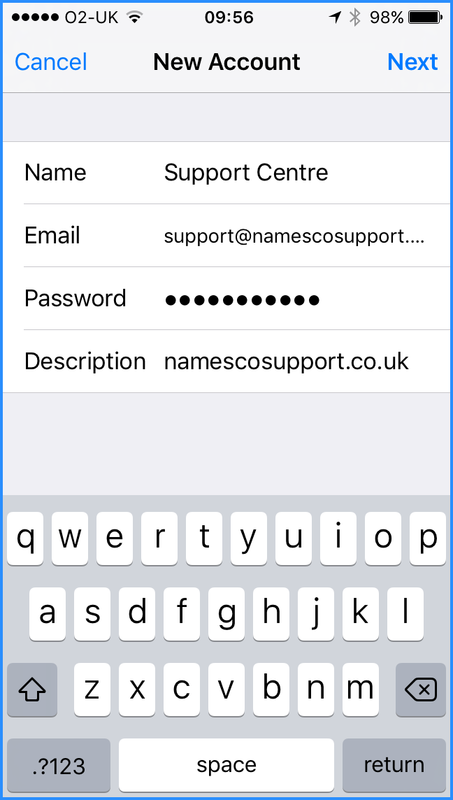 If you just have a single mailbox on your account, your username will be your domain name, if you have set up secondary mailboxes the username will be your domain followed by a _name, for example namescosupport.co.uk_sales. The Password will already be populated. 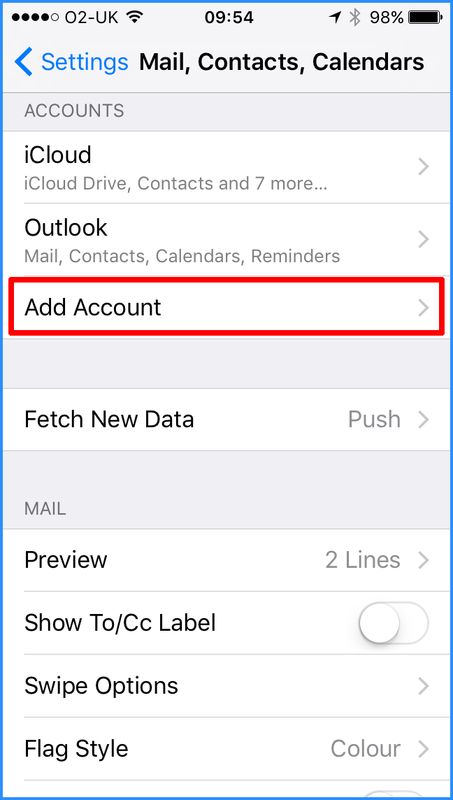 If you need more information on mailbox usernames check our guide on Creating a Mailbox. - Enter the Outgoing Mail server details. 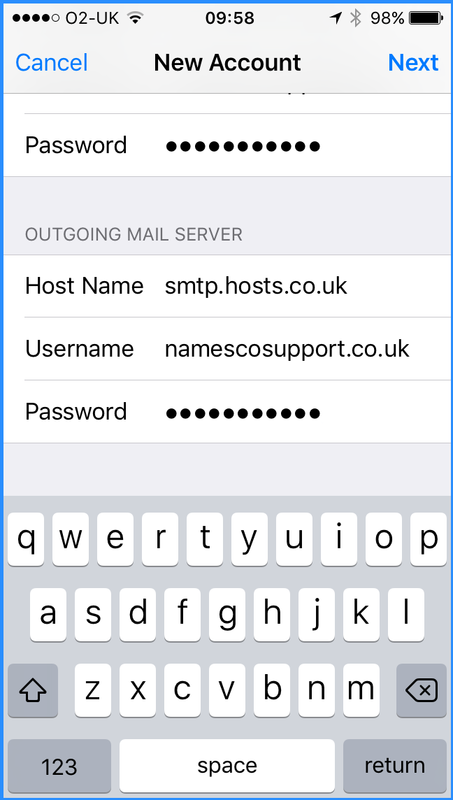 If you have purchased Authenticated SMTP from Register365.com then your details will be as follows; Host Name will be smtp.hosts.co.uk, the User Name and Password will have been emailed to you or you can familiarise yourself with the details in the Register365.com Control Panel, here's a guide on How to reset your SMTP password. 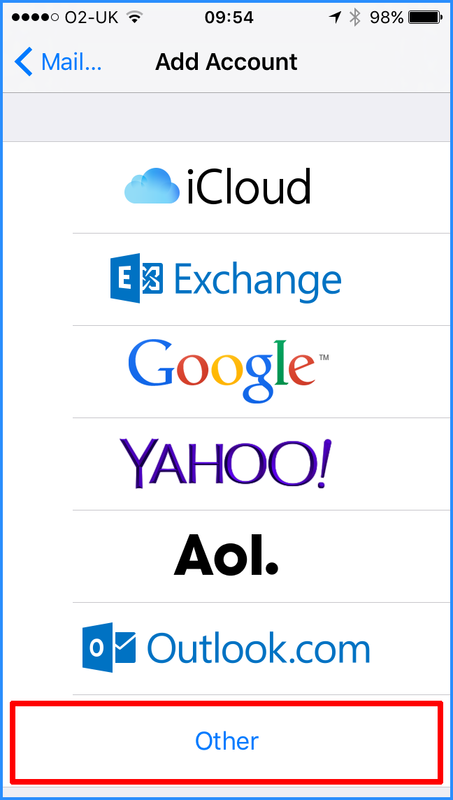 If you have not purchased Authenticated SMTP Access then you can use your mobile phone providers SMTP server details. Their server settings can alter depending on the provider you use and your username and password are usually specific to your mobile phone contract, so if you're uncertain of these details you'd be best to contact them to determine what these should be. - Next, press Save and the account should then be ready to use.